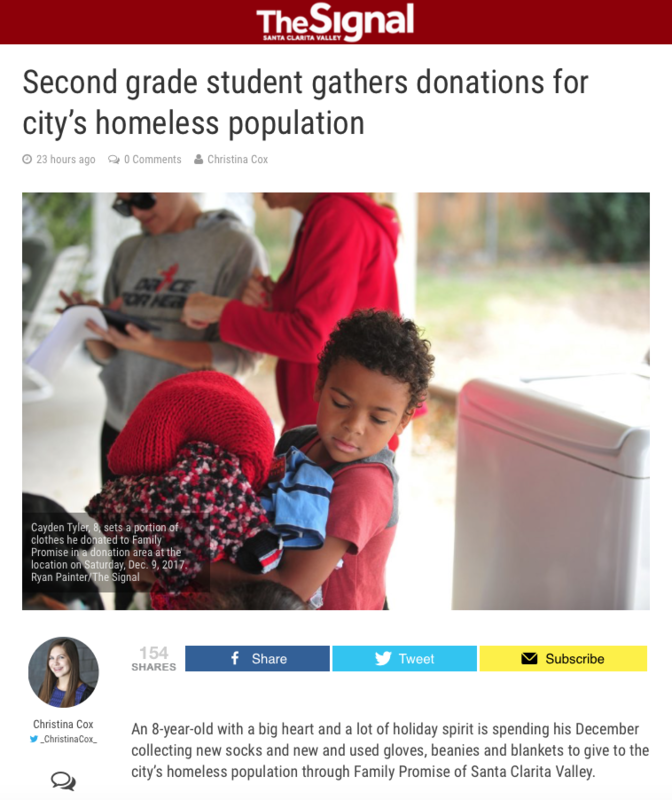 Cayden Tyler, the second-grader who is collecting socks, hats, scarves and gloves to donate to Family Promise, is featured today in The Signal: Read the whole story here! Local boy on a holiday mission to help homeless families! Video courtesy of Mike Sells SCV.